The very first time I tried a Buffalo Chicken Sandwich, I was hooked. The combination of hot sauce, blue cheese and crunchy celery kept me coming back for more. I have a tendency to "obsess" a bit about things. When I find something I like I have no problem eating it over and over, back to back for days. I like this recipe because it can be made in the crockpot, in the stove or thrown together in the microwave. I like to cook this dish in the crock pot if I have the time. I also make a large loaf of warm bread for family and friends. You can find the recipe that I use for the bread here. I chop extra veggies for those that cannot eat the bread (like me). I also think that this could be made without the chicken pieces and still taste yummy for your friends that don't eat meat. I used my crockpot to prepare this dip. If you wish to use your oven, preheat oven to 350. Use a pie dish and cook for 30 minutes or until bubbly. To prepare in the crockpot: Add cream cheese, mayonnaise, garlic, green onions and hot sauce. Combine until mixed, it does not have to be smooth. Add cheese and chicken. Mix well. Cook on high for 2 -3 hours. Check every so often and stir. 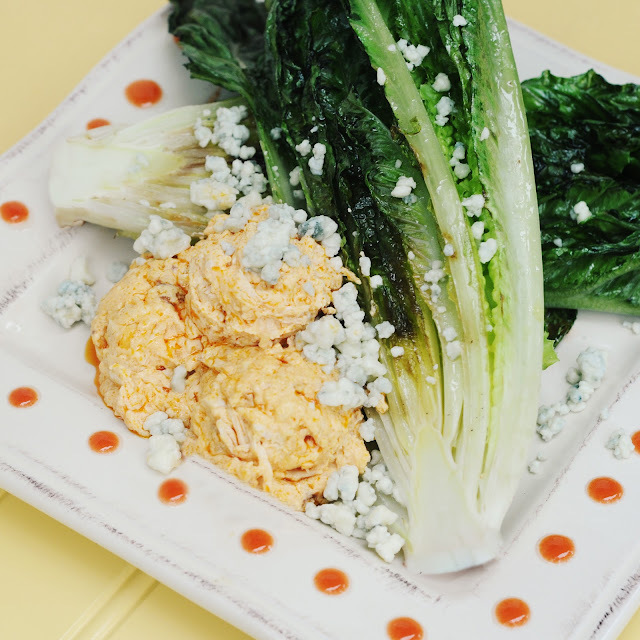 Transfer dip to a pie plate and garnish with blue cheese and celery pieces. I used the left over dip on a salad the next day. I grilled my lettuce on the grill with a bit of olive oil, salt and pepper. 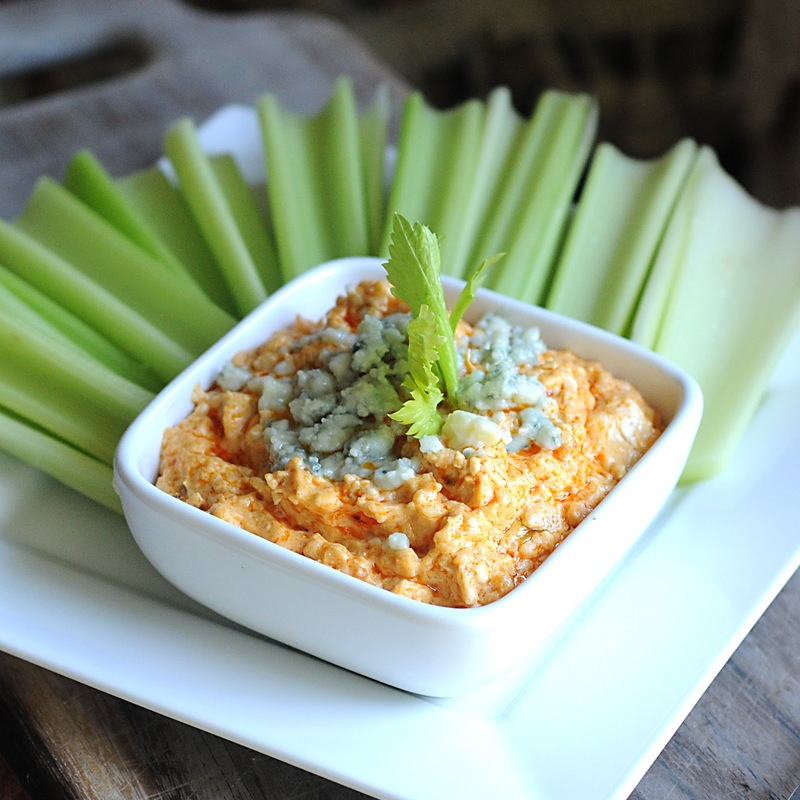 Warmed up the dip and enjoyed a buffalo chicken salad. It was delicious. Do you pre-cook the chicken prior to placing it in the crock pot? Yes I do. The recipe calls for cooked, diced chicken. Ok thank you! I ended up putting the chicken in the crockpot first, and cooked it for a few hours before adding the other ingredients. That way there was less dicing and less cleanup :) It turned out great. Thanks for the recipe! Another "must try"!! I love buffalo chicken and with all the added cheese it sounds like heaven in a bowl! Hi - how many servings does this have? Hi Julia---This makes enough for a small crowd (4-6) adults as an appetizer. I make it for my family of 6 and we eat almost the whole batch.